Do you smell it? The sizzle of butter. The crisping of bread. The melting of cheese. You’re on the scent, dear reader: April is National Grilled Cheese Month. Naturally, we at Murray’s are big April people, and we’ll be sharing the grilled cheese love with you all throughout the month. As Grilled Cheese Month gets started, however, we figured we’d take a moment to answer what is perhaps the most important question about the sandwich: Why? 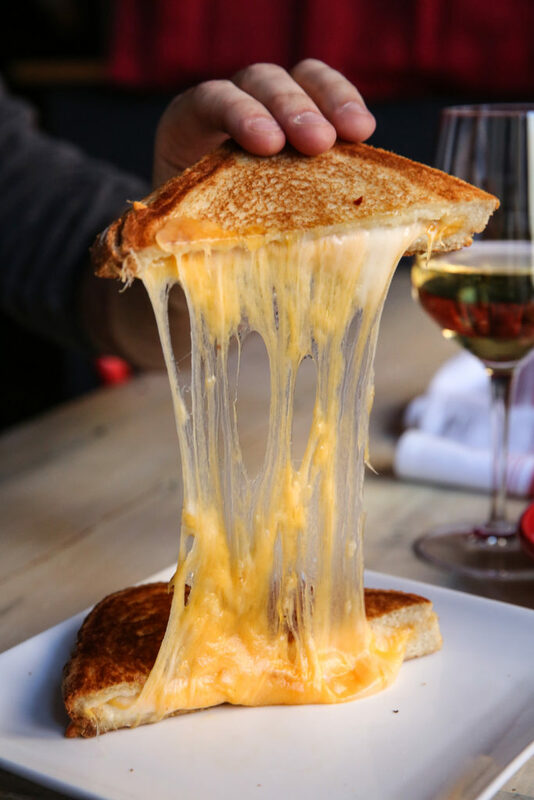 The grilled cheese sandwich as we know it is less than a hundred years old, and it was born right here in America. Indeed, the modern grilled cheese is a uniquely American creation. How did this happen? Like so many essential creations, it resulted from the confluence of technology and necessity. The first piece to fall into place was the individually wrapped slice of American cheese. This was popularized in the 1910s and gained steam into the 1920s. Then, the real game changer: the ready availability of sliced bread. The importance of the advent of sliced bread simply cannot be overstated. It was so great that it became the de facto thing that all other great things were marked against. We don’t say, “The greatest thing since mashed potatoes” or, “The greatest thing since yogurt in a tube.” We say, “The greatest thing since sliced bread.” And one of the greatest things about this greatest thing is that it was easy and economical to place a piece of cheese in between two slices and make yourself a sandwich. For many Americans, this quickly became a necessity. Sliced bread was first sold in 1928. The next year, the stock market crash and the Great Depression began. Grilled cheese became a staple of the American diet. A generation of children was raised on the sandwich. It isn’t every day that you come across something so simple and affordable yet so satisfying. Grilled cheese has that crispy, melty thing going for it, what we might refer to as goo-and-chew. And like so many commonplace dishes before it—paella, porridge, etc.—the sandwich proved to be a perfect canvas for creativity. As the economy began to recover, home cooks and chefs alike began to riff on it with more imaginative ideas, finding that you can make grilled cheese in endless fashions. You can make it with Stilton and bacon. You can make it with quince and spinach and feta. You can really make it however you want. And that’s what Grilled Cheese Month is a celebration of. We’ll be eating our fair share of grilled cheese sandwiches this month, and we’ll also be sharing some of our recipes with you. 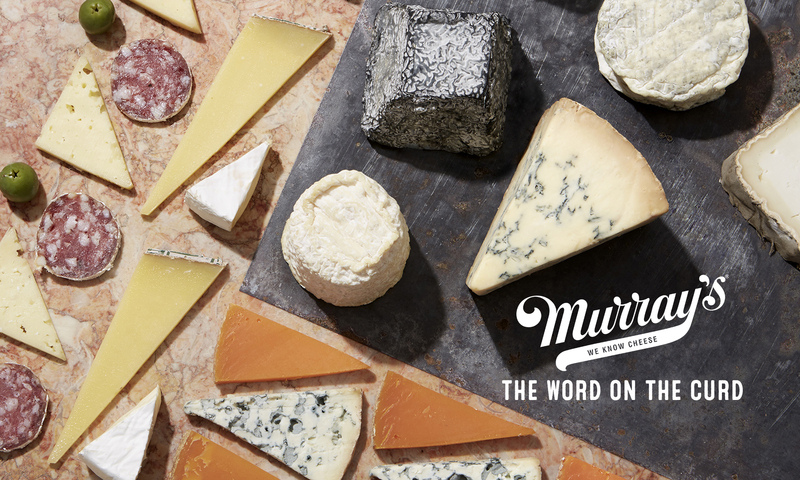 Each week in April, we’ll be debuting a new, Murray’s-exclusive grilled cheese recipe, each one using a cheese made from a different type of milk. Keep checking back here as we unveil a new take on this American classic. Until then, happy grillin’.